Schoenbart Vision Care is a family-friendly practice, offering eye care services to meet the needs of patients of all ages. We boast a personalized approach to optometry, which goes far towards providing the best vision care for each individual. Dr. Schoenbart will perform comprehensive eye exams, including thorough glaucoma testing, with consideration for your health issues and lifestyle requirements. If you undergo an ocular laser procedure, we’ll evaluate and handle your pre- and postoperative needs. Our optical collection features an array of mid to high-end stylish frames, with top quality lenses and lens treatments. Do you prefer contact lenses? A full range of lenses is available in our store, including hard-to-fit contacts, extended wear and many daily disposables. If you have dry eyes or other conditions, such as presbyopia and astigmatism, we’ll help find the ideal contact lenses to give you clear vision and comfortable wear! Highly professional care. Love Schoenbart Vision Care. Highly recommend you visit them. Since January of 2019 I have been wanting to visit an optometrist, but this time I wanted to see one closer to my place of work. I made an appointment with Schoenbart Vision Care and was glad I did!! The staff was very accommodating and helpful and Dr. Handell, the optometrist I saw there was excellent! 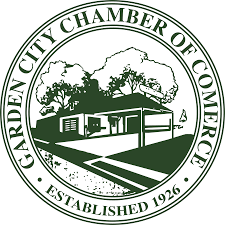 She was very professional and knowledgeable. I had got photos taken of my eyes because I had not done so in some time and as you get older it is most important to do thorough checkups. Well, to my surprise they found 3 retina tears in my right eye which is very serious. They immediately scheduled an appointment for me to get my eye treated by a professional doctor and the problem was taken care of...I have to hand it to this place...they did so much for me that day and I am ever so grateful for their kindness and care! I've always had struggles with my vision. I never had a perfect prescription until I came here to see Dr. Shoenbart. He was able to advise me clearly on how to better care for my vision. He answered all my questions honestly and fully. I'm overall very satisfied with this office! I also like the friendly vibe there. I always have a great experience at Schoenbart Vision Care. The exam is very thorough and utilizes the most up-to-date technology. The staff is friendly and helpful in assisting me with choosing new frames. Got my Lasik procedure done through their office. The best decision I have ever made in my adult life. 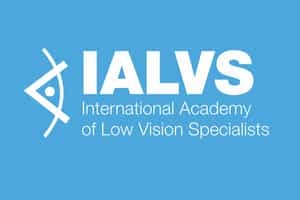 Dr. Schoenbart is a member of the International Academy of Low Vision Specialists (IALVS). IALVS trained doctors bring new hope and sight to those with macular degeneration and other vision limiting conditions. Dr. Schoenbart believes in LIFE AFTER VISION LOSS. At Schoenbart Vision Care, we provide complete eye exams for every one in the family from toddlers to grandparents and everyone in between. During a complete eye exam, your eye doctor will not only determine your prescription for eyeglasses or contact lenses, but will also check your eyes for common eye diseases, assess how your eyes work together as a team and evaluate your eyes as an indicator of your overall health.